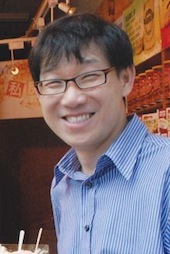 Dr. Phoon Kok Kwang is the author of The Colour of My Life. He is a Professor of Civil Engineering at the National University of Singapore. He is Fellow of the American Society of Civil Engineers (ASCE) and Fellow of the Institution of Engineers Singapore (IES). Dr Phoon was bestowed the ASCE Norman Medal in 2005. It is the oldest and highest honour granted by ASCE, the largest civil engineering professional society in the world, for a technical paper that is “judged worthy of special commendation for its merit as a contribution to engineering science”. During his precious leisure hours, he reads, listens to music, daydreams, and writes. He loves to travel and make friends around the globe. He jogs every Friday at the lovely NUS track just “for the heck of it”. Ms Seow Poh Hoon and he have been happily married for 17 years.